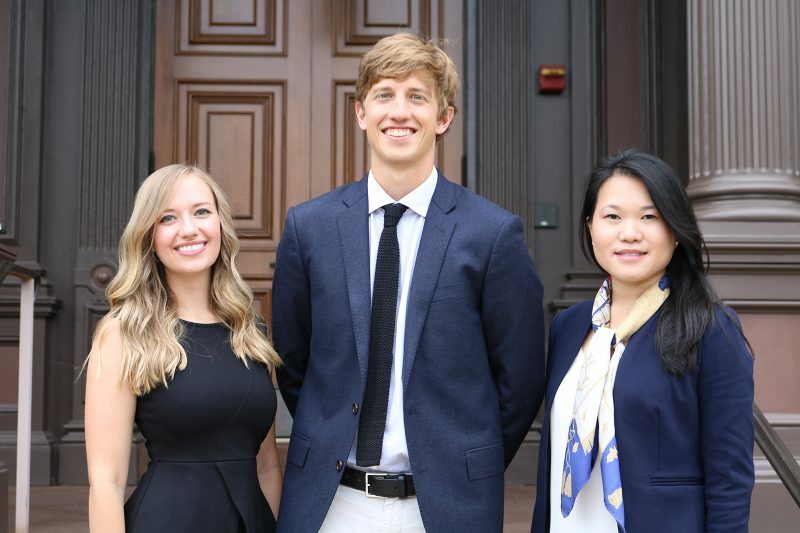 "Teaching at Yale is an opportunity to share my real-life experiences with future leaders. I particularly respect the global intellectual capacity of today's student bodies at every level. I see it as a two-way exchange." 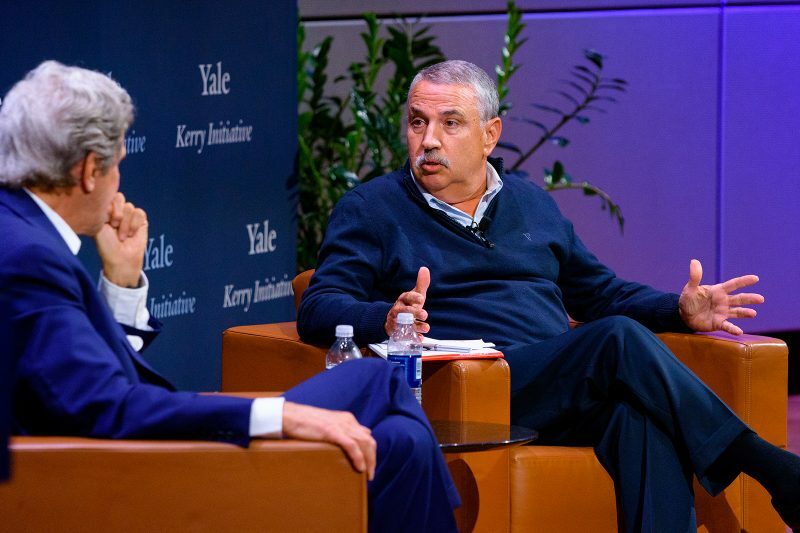 "Yale has a great history of contributing to the public dialogue with folks who have engaged in public life at all levels. 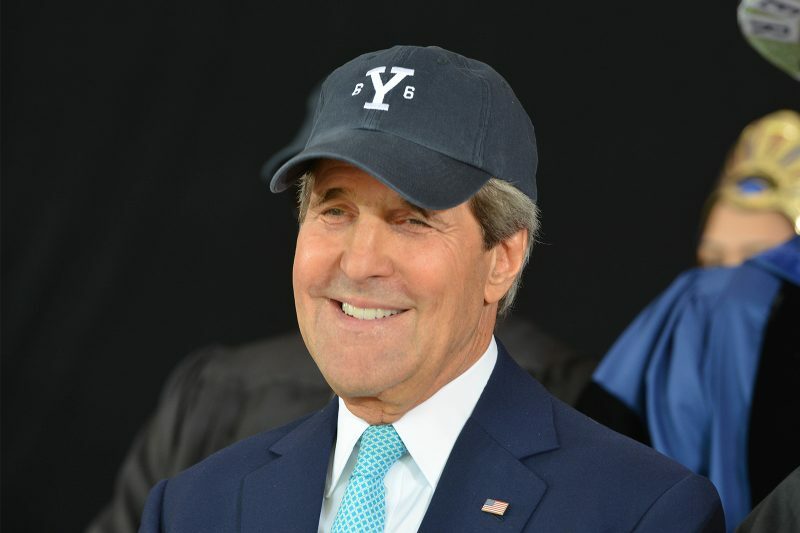 Yale opened up a world of possibilities to me." Key topics for the initiative include failed and failing states and the challenge of authoritarian populism; rising sectarianism and violent extremism; climate change and other environmental threats; and capacity building, global economic opportunity, and development. 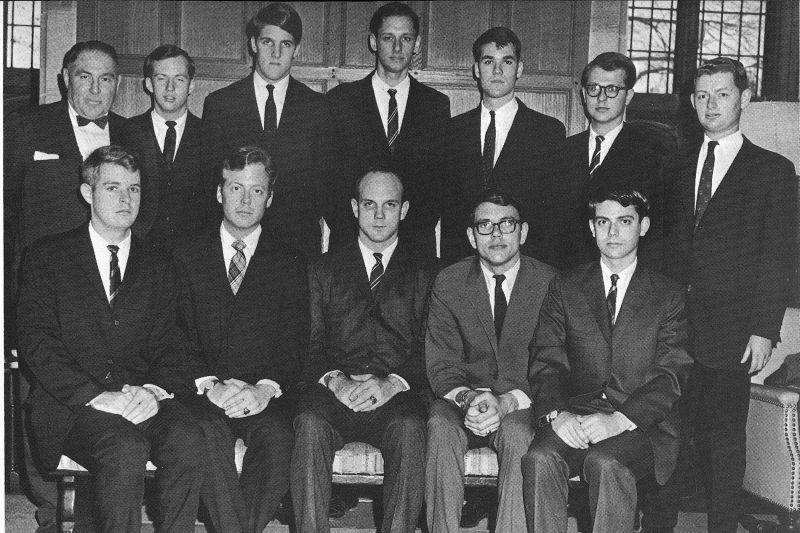 During his undergraduate years at Yale, Sec. 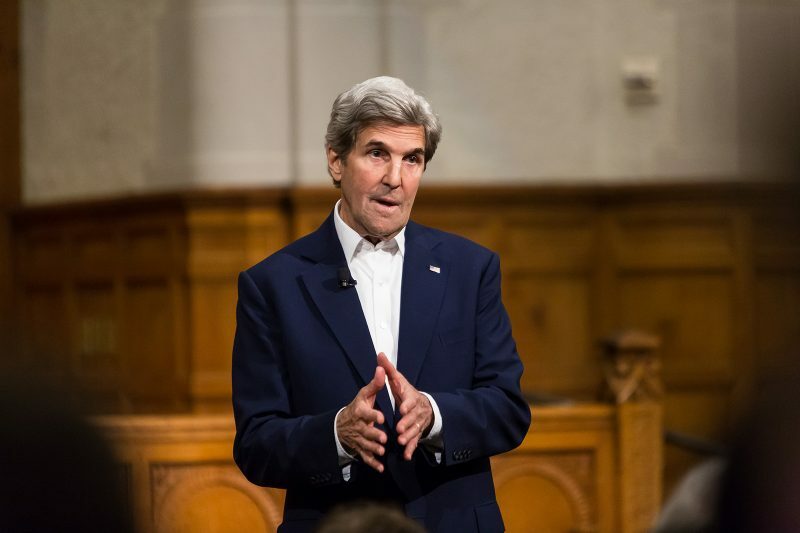 John Kerry was active on campus, including a member of the Debate Team. 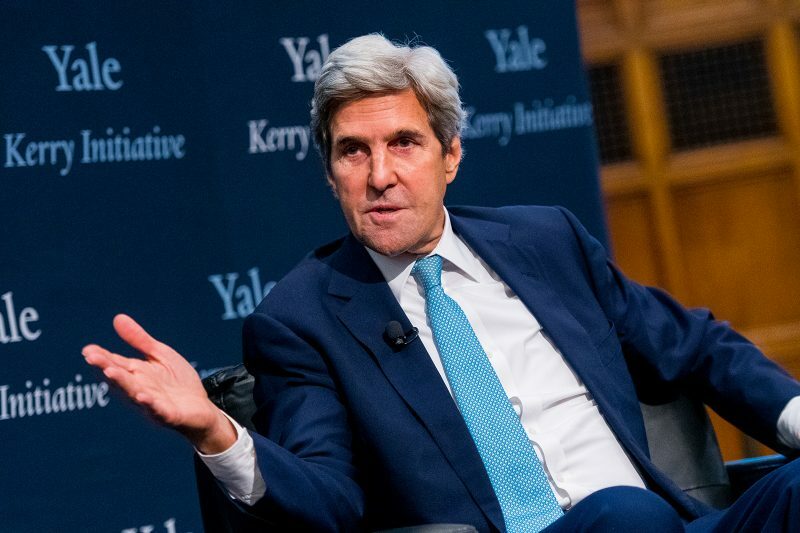 Founded in 2017 by former Secretary of State John Kerry, the Kerry Initiative is an interdisciplinary program that tackles pressing global challenges through teaching, research, and international dialogue. The Initiative leverages Sec. 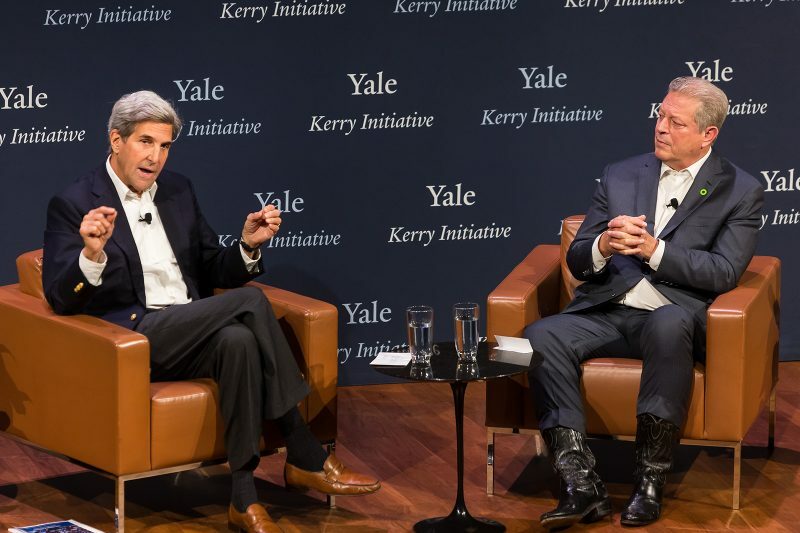 Kerry’s insights, experiences, and relationships on a global scale, collaborating with students and faculty and deepening the Yale experience to have greater interaction with the world beyond campus. Learn more about the Initiative's leadership. 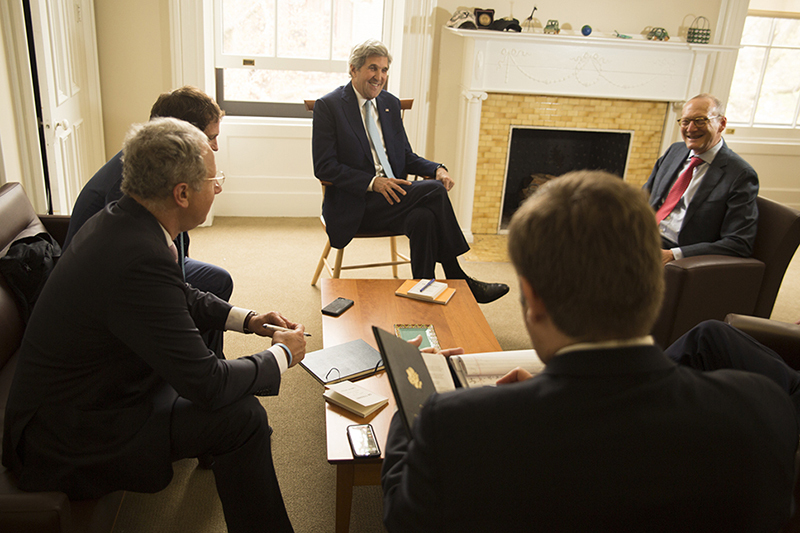 Kerry Fellows are Yale students who work with Secretary Kerry and his team on key projects for the Initiative. Stay up to date on news from the Initiative. 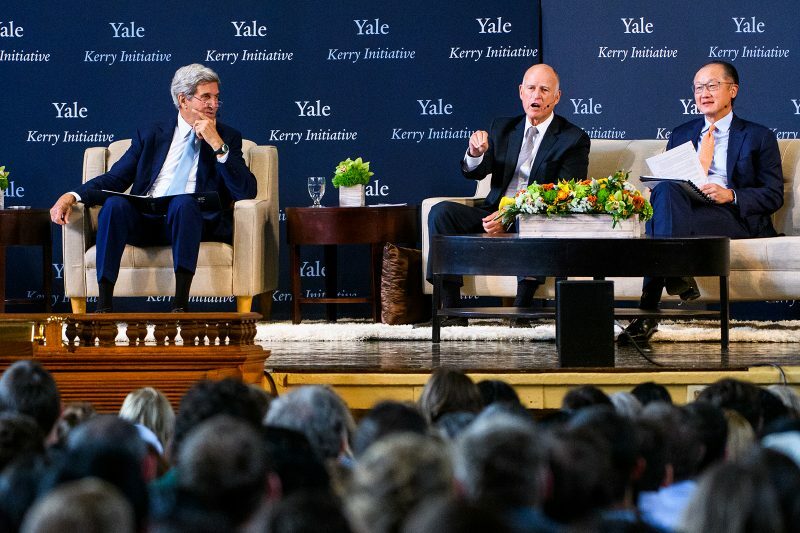 A key part of the initiative includes Kerry Convenings and Kerry Conversations. These events are intended to develop new approaches to solving crucial global challenges. In Spring 2019, Sec. 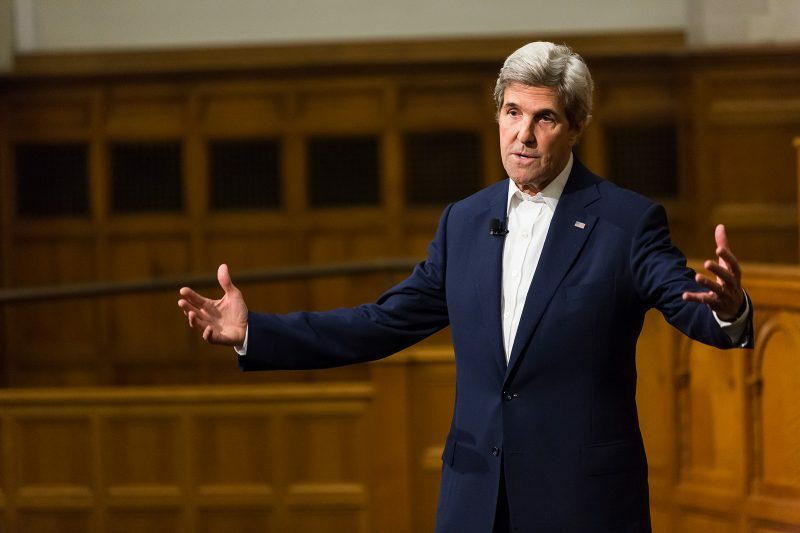 Kerry will teach a seminar on American Power in the 21st Century. An application is required to take the course.